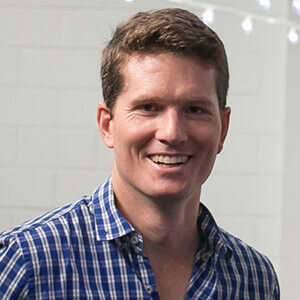 IN 2004, Townsville local Luke Anear transformed his workplace health and safety consultancy into a software start-up, SafetyCulture. The firm started in a garage and Mr Anear is determined to keep it that way. The firm has developed iAuditor and Spotlight, innovative, low-cost, mobile-first applications that allow users to create safe and efficient workplaces by conducting centralised audits and, in real-time, quickly evaluating safety and quality. “I used to be a private investigator spying on people who had been injured at work and thought this was pretty crazy … waiting for people to get injured and then spying on them,” Mr Anear told Talking Business. “I created a training document business for the Australian construction industry, and that was great, but by 2011 you could see people had a computer in their pocket and they were people who normally didn’t sit in front of a computer. “So I thought it was a chance to build some tools and we built a check list app – and people would download it and use it in their workplace,” he said. The downside is that it relies on people to check stuff all the time, so SafetyCulture is now developing an automated system. One of its tools, Spotlight, has schools in the US using it in a unique way. They use Spotlight for tagging a potential shooter and notifying teachers and the sheriff’s department. “We are facilitating the flow of information that wasn’t collected before,” Mr Anear said. “The starting point was pens and paper and some people have desktop software that is quite cumbersome and takes a lot of time to use so people will avoid it. The firm now employs 280 people and is moving into hardware and the internet of things (IoT). He said maintaining the start-up culture of the company was all important. Hear the complete interview and catch up with other topical business news on Leon Gettler’s Talking Business podcast, released every Friday at www.acast.com/talkingbusiness. IN MANY WAYS traditional politics is dead. The ‘tennis match’ of left and right, liberal and labour, socialist and conservative continually hitting the ball backwards and forwards, shouting a lot, but not actually doing very much is not delivering the goods. And meanwhile the world moves on, for good and for bad. With some very large ‘wicked problems’ emerging for us all to deal with. The times of big picture strategies and visionary leadership seem to have slipped behind us. Yet many of those initiatives still look good in hindsight – e.g. The Marshall Plan, The Square Deal, Public Health System, Free Schooling and so on. But that was then and this is now. Times have moved on, and the digital revolution has presented us with so many new challenges and possibilities. It has connected the world. And given us a host of social levers that never existed before. But so far, both vision and tools have been hijacked by ‘business as usual = the 20th century’. The technology is just being applied to reinforce the way things were. When it could be applied to open the way to a new world of possibilities, driven by vision, expedited by the new tools of the 21st century. One of the biggest barriers to effective change is simple. Recognising the ‘power of one’. What can I possibly do to make a difference … little old me? This question holds so much personal energy and potential in check. Quite a lot, actually. Because, all positive change in history started with one person. Understand that, and then understand the potential of using internet-based tools to add leverage to individual power through collaboration. 1 + 1 = 2, 1+1+1 = 3, or 11 or a thousand or more = and together ‘we can do anything’. But it starts with the ‘power of one’. That has to be first recognised and realised by each of us. Who do we see in the mirror every morning? An actor? Or a commentator? A doer or a viewer? Work that out. Then – we can all get on with it. In many ways, it doesn’t matter what ‘it’ is. Acting rather than observing and commentating is refreshing, inspiring, powerful and cathartic and can lead to further action. I am not suggesting action without vision or focus. I am simply suggesting that we do what our ancestors did 12,000 years ago and move from hunter gathering and start ‘gardening’ or ‘farming’ our limited resources with intelligence. Much like farmers and gardeners do today. But we need to manage all the productive resources we have not just seeds, animals and soil. Productive energy with no direction = jungle. Productive energy with vision and direction = garden. Farming. Agriculture. We need to apply that same thoughtful, considered approach to everything that we do. Economic agriculture. Social agriculture. Innovation agriculture. The current ‘jungle’ condition we live in is actually not the fault of politicians – local, state or federal. Politicians are themselves constrained by bureaucracy and the way government works. Many politicians have good intent (not all) but are frustrated by timing, budget, factions, ideology, external influence and then the slow mechanics of bureaucratic response to ministerial direction. Many of us could do something in three weeks or three months that would take government 2-3 years. And they would mess it up. I spent 20 years in advertising and became used to tasks being set, responded to, creative solutions being created, then measured against a strategic brief and turned into production in 6-8 weeks. But government doesn’t act this way. Government usually gets driven and directed by fixed ideology rather than ‘good ideas’ which can come from anywhere and do. Nobody owns good ideas. And they seem to enjoy the theatre of politics and the adversarial ‘tennis match’ just a bit too much, forgetting the primary function of government = service, management, fixing things and delivering the goods. For it’s a digitally, connected and interconnected world we now live in, yet government rarely views issues holistically – which is where all the ‘wicked problems’ live, so fails to fix the real issues we wrestle with in society every day. Just about every citizen, in every country in the world could dictate a list of the biggest problems we face. And it would look pretty much the same, no matter where the list originated. The OECD created such a list a few years ago and nothing much has changed since then. And there is no reason at all – why collectively – we shouldn’t have a go at fixing those problems. We don’t have to wait for permission. There are big problems, medium sized problems and small ones, and if we can tick them off one by one, then who knows what might happen. There is no rule that says only people that visit Davos once a year, get to discuss ways of making the world a better place to live. It’s back to the ‘power of one’ – me and you. That is where initiatives start. Over the years, I have met with chairs and CEOs of corporates and they mostly have the same issues as the rest of us and the same frustrations with lack of government vision and action. So I figured if we could address these problems and frustrations together, jigsaw puzzle piece by jigsaw puzzle piece, then we may just be able to collaboratively create a big picture of solutions. That anyone can use. That’s all the RED Toolbox is – http://theredtoolbox.org – a set of tools for anybody to use to address problems. The framework of regions (52), sectors (19) and themes – innovation, investment, future of work, export and sustainability – is simple, deliberately so, because hardly anybody has an argument with any of those themes. And we don’t need to elect a leader or leaders within that broad context. We just get on with it. We just need doers. Actors. Willing to work with others. Sharing value. In the same way that ants achieve tasks with no control from the queen. They just collaborate to do stuff as it arises. The purpose of the RED Toolbox was just to create structure for ‘the river of ideas and projects’ (regions and sectors), with direction generated by the five themes of innovation, investment, export, future of work and jobs, and sustainability. That simple framework allows anybody to do stuff both with and without government support, recognising that no government on the planet has yet addressed the issue of governing holistically. Which represents an opportunity for the rest of us. Roughly 97 percent of people are good folk. About 3 percent are sociopaths and 0.3 percent are psychopaths – so we should try to leave them out of it, as much as possible and focus on the 97 percent. And there is no need to define or restrict the projects as long as they align with the key themes. So government policy and direction then becomes largely irrelevant. It is all about what works. And whenever businesses and citizens start collaborating to do things, most governments tend to offer support anyway – and we should always try to give mayors and politicians flags to wave and ownership, whenever and wherever applause is due. Keep the politicians informed, but get on with the game regardless. Accept the ‘power of one’. Cast off ‘fear’. Do something. Commentators sit and debate in the stands. Players play the game on the field. We all only have a short time here on the planet and there is more than enough to do. So 2019, full steam ahead. Let’s get doing. 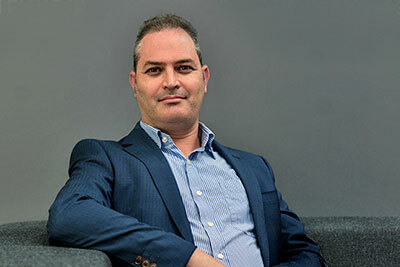 John Sheridan is CEO of Digital Business insights, an organisation based in Brisbane, Australia, which focuses on helping businesses and communities adapt to, and flourish in, the new digital world. He is the author of Connecting the Dots and getting more out of the digital revolution. Digital Business insights has been researching and analysing the digital revolution for more than 15 years and has surveyed more than 50,000 businesses, conducting in-depth case study analysis on more than 350 organisations and digital entrepreneurs. Now DBi is turning that research into action through a series of digital business development platforms, the first of which launched in 2016, the Manufacturing Toolbox. DBi has now also launched a series of international online trade showcases, promoting Australian goods and services to specific countries and promoting use of those showcases in those countries. The first, just launched, is the Australia-Taiwan Trade Showcase. Coming soon are trade showcases for Japan, Hong Kong-China, Korea, Japan, Indonesia, Singapore and India. Australia's Regional Economic Development (RED) Toolbox has now been launched at http://theredtoolbox.org. THE TECHNOLOGY industry has a habit of inventing terms and phrases that are virtually incomprehensible to those outside that inner circle. Despite our overall lack of comprehension, these terms take off and become hot topics and ‘ones to watch’ quite easily. Blockchain frequently dominates our headlines, due mostly to its intrinsic link to the madness around Bitcoin and other cryptocurrencies – but how many of us actually know what it is? Others are easier to understand, such as artificial intelligence (AI), though our interpretations might be skewed by some memorable fiction over the years. One that is growing in prominence but understood by few is DevOps. It’s a concept that’s either ignored completely or labelled as ‘best left to the techies’. However, DevOps is among the most important business-level technology trends gaining real traction, and it’s high time business leaders in Australia took notice. DevOps, a combination of development and operations, is less a new technology and more a culture, practice and even a movement. At its core, it’s about people first; empowering teams within business departments with digital tools they need when they need them. Any digital service – which could include new applications to manage finance or human resources, video conferencing, data analytics, and much more – involves a number of steps to go from concept to reality. These steps are usually research, design, construct, test, deploy and manage. Traditionally, these steps have taken a long time, a lot of blood, sweat and tears and required huge financial investment, meaning businesses needed to carefully choose which digital services they adopt. DevOps advocates the use of automation and monitoring at all stages of development and aims for shorter cycles so that digital services aren’t such a chore and can be spun up quickly. The key ingredient to DevOps is perhaps the overused but at least well-understood term – agility. New technologies emerge every day and businesses need to be ready to react and deploy. Step one to creating a successful DevOps environment is implementing a simpler, more sophisticated information technology (IT) environment. Modern environments, such as public and private cloud and hyper-converged infrastructure, are effectively automated to the point where they don’t need ‘management’. That means your IT team has more time to focus on building a DevOps culture. From a financial point of view, investing in an IT environment has always been a bit of a guessing game. CIOs had to judge the amount of resources they would need over the period of about five years and then make a case to their CFOs and management. This often meant paying for more than was needed at the start of that cycle, and potentially being stretched thin by the end of it. Cloud is scalable and has enabled a more favourable operational expenditure (opex) system for this spend. Bite-sized investment can be made as and when needed, meaning the IT environment is never behind or ahead of business requirements. Consuming IT in this way often means vendor consolidation, ticking another box for CFOs and business leaders. 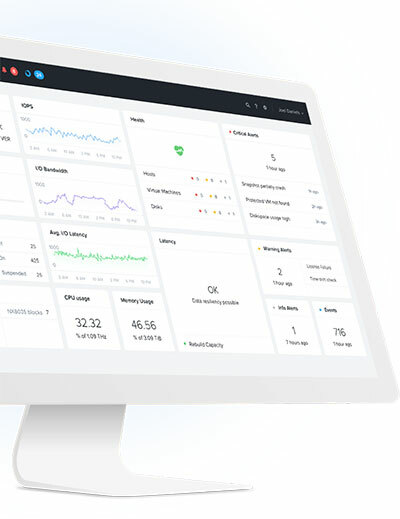 With a scalable environment, more resources can be deployed quickly and easily to manage the applications and services that come from DevOps. If DevOps is a poorly-comprehended term, containers are likely to be flat out baffling, but are an important tool to add to your new IT environment to help enable DevOps. In simple terms, container services such as Kubernetes and Docker are private spaces where applications can be run in a number of different ways. Remember our list from earlier? Research, design, construct, test, deploy and manage. In a container, these stages are easier, faster and cheaper to work through. There’s a lot more to containerisation, but that can be left to the techies – the takeaway message here is that a container can help enable a DevOps culture. With the right foundation and tools in place, the vital next step is to build the culture within the organisation. While DevOps must be led by management and the IT department, it requires buy in, cooperation and communication on an interdepartmental level. Each department must communicate what it needs from a digital transformation standpoint. This can then be assessed, and a strategy can be formed that satisfies the need in line with what’s possible and what fits in with the company’s digital roadmap. This is less about technology and more about change management. People can be resistant to changing the status quo and most outside of the tech department won’t understand what DevOps and containers are and why they should care. What people should understand is the benefits DevOps can deliver – speed, agility, meeting customer needs with technology, automating daily repetitive tasks, the list goes on. Communicating these benefits and building a DevOps culture in the right way will help bring the speed and agility businesses crave, and simplify the tedious tasks of people at all levels, and that is something we can all get behind. Neville Vincent is vice president for Australian and New Zealand, ASEAN and India for enterprise cloud company Nutanix. 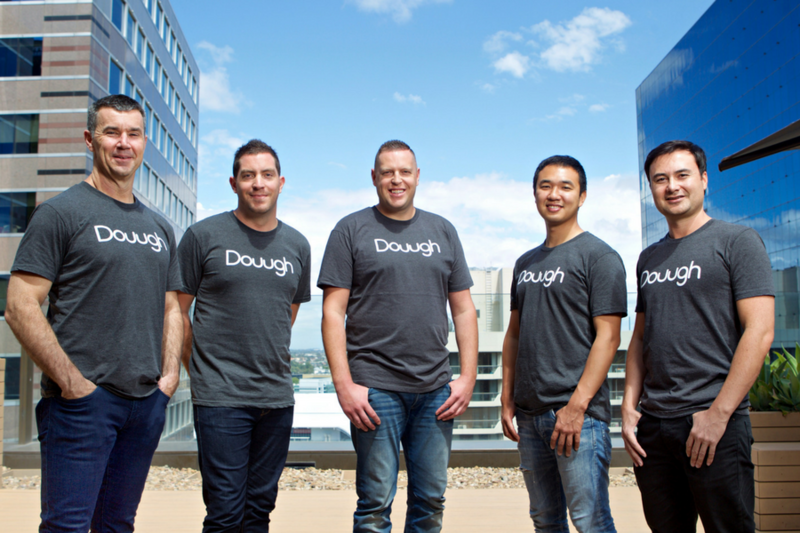 CONSUMER fintech application Douugh, is raising up to $5 million in working capital on the market platform Equitise to secure its US and Australian launches in 2019. Douugh promotes itself as being ‘on a mission to democratise banking globally’ and is building what it calls a ‘smart’ bank account for consumers, leveraging open banking. A key ingredient of the Douugh offering is its artificial intelligence-augmented ‘personal financial assistant’ smartphone and PC app named Sophie. Douugh’s smart banking app will offer a Mastercard debit card and full suite of everyday mobile banking functionality, which operates with Australian Government banking system-wide guarantee on deposits. Douugh is set up to offer multiple enhanced and unique features that focus on helping users pay off debt, spend less, save and build wealth. The Sophie AI service offers what Douugh calls “real time insights and notifications, learning how you spend money and understanding your goals to help you get ahead”. Currently in private beta testing mode in the US and having just announced its global tie up with Mastercard, Douugh is now gearing up for rapid growth, according to founder and CEO Andy Taylor. He said Douugh would be launching first in the US early next year, with Australia set to follow later in the year. Mr Taylor said Douugh is now opening up investment to sophisticated investors “to get in early and own a piece of the company to allow it to fund its US launch”. Mr Taylor said Douugh had a clear initial focus on the global millennial market – and the ‘sweet spot’ of the millennial demographic for early adoption of the Douugh offering are “the HENRY (high earning not rich yet) segment”. “HENRYs sit at the top 20 percent of US households based on income which starts at around US$100,000,” Mr Taylor said. “With nearly 125 million American households in total, the affluent segment numbers just under 45 million households. “In most any spending category, the affluent top 20 percent account for about 40 percent of total consumer spending,” he said. “This segment is ready to plan for their future and start accumulating wealth. This is where Douugh can educate and automate their finances and alleviate the stress involved, helping them live financially healthy by still enjoying the now while planning for their future,” he said. “We believe the future of banking is about platform, data and identity. Our ultimate goal is to become a platform business, offering a financial control centre where people’s finances are managed on autopilot. “Short-term, we will expand our AI capabilities and offering into wealth management and credit. Long-term, we will look to foster an ecosystem of partners within our own marketplace in order to allow customers to leverage their financial data and save money – across financial services, insurance, utilities and retail,” Mr Taylor said. Mr Taylor pointed out that Douugh was actually a technology company, with no plans at this stage to become a bank. He said Douugh would not be taking on the business model, risks and regulatory capital requirements needed to operate as a bank. Instead, Douugh is developing its own proprietary technology stack, leveraging the banking licence of existing banks to scale up a customer base in key international markets, operating as an OTT (Over-The-Top) application. “Technology and the pioneering of a new, platform based business model, will be the key differentiators in winning customers off the major banks, and it will be the true fintechs with global scale that will ultimately be best placed to capture the market share in the long run,” Mr Taylor said. Co-founder of Equitise, Chris Gilbert said he was “stoked” to have such an innovative fintech join the Equitise platform. “As the fintech community continues to mature in Australia, it’s great to see Douugh roll out its ambitious international plans to scale and further develop a unique product offering, Mr Gilbert said. NO BUSINESS is safe when it comes to cyber-attacks, and this is what small business fails to realise. Most attacks are focused on a positive monetary outcome for the cyber-attacker. Often the secondary target within a business is the personal information of individuals (customers, partners, suppliers and acquaintances that are usually kept in mail systems) as this data is used to identify the attackers’ next set of potential victims. Unfortunately, the size of the target is often irrelevant. Cyber-attacks are an asymmetric threat. This means that the cost to develop or execute the attack can be very small but the impact resulting from an attack can be extraordinarily high – including monetary losses. Many (most) small businesses generally have not taken the time to consider the risk of a cyber breach, nor the impact to their business. Many are of the mind that it won’t happen to them and are under the impression that attacks only target large enterprises. In fact, the opposite is usually true, with larger businesses implementing more security controls to protect their IT systems and data repositories. As a result, today’s attacker finds it easier to target smaller organisations with less robust security in place. Some of the top digital dangers facing small business start with a technique candidly called ‘phishing’ in cyber-speak. A phishing attack uses an email, instant message, text message or even a phone call requesting the user to take an action, usually to click a button – which starts the download of malicious malware – or to trick the user into sharing passwords and other user details. When it comes to phishing attacks, there are many different techniques that the attacker might use. These include ‘spear phishing’ which is a more targeted attack to a specific individual with a specific objective. A ‘whaling’ attack often targets C-level executives (or business owners) and these types of attacks can often be hard to identify – as the attacker has customised them to appeal to a specific individual. With the increase in phishing attacks the question then is how can you identify such an attack? Many emails may appear to come from a reliable address with all the details of a known associate which makes it difficult to differentiate between a phishing email and a normal one. Luckily there are often tell-tale signs to help identify a phishing email. Always look out for an email with a generic greeting as well as one requesting personal information. If an email is coming unexpectedly from a known associate, it should be treated as suspicious until validated as genuine. Tip – Don’t open attachments or click links received via email or social media from unknown individuals or ones requesting you to update or verify your details. Phishing attacks may lead to the accidental downloading of Malware – which is malicious software, written with the intent to do harm to data, devices or to people. Attackers use malware to perform their actions – including by remote control – and to monetise the attack. Examples include searching for and stealing confidential information such as usernames and passwords, internet banking credentials or installing further programs without your knowledge to extend their attack. One particularly nasty form of malware is ransomware that takes over your computer, encrypts your data and then demands a ransom in order to release access to the computer and the data. Tip - Update your security software, change passwords and back up data regularly. Store your backups offsite and offline. Ensure you have the ability to recover by testing re-installation from backup. Phishing may also pass users details, passwords and other data to the attacker. A very common attack, that uses these details, allows the attacker to remotely connect to the e-mail system of a business. Once connected, the attacker reads incoming and outgoing emails – when they see one that relates to the paying of funds they immediately send another email to the recipient explaining that they had made a mistake along with a request to send the funds to an alternate bank account which the attacker strips at their leisure. Cybercrime can create issues for small business such as causing damage to their reputation, result in loss of assets and incur expenses to fix the damage caused. These attacks could mean the difference between cutting a profit or going under. Tip – Keep your computer patched and up-to-date including with the latest anti-virus and anti-spyware software. The good news is that these and other attacks can often be thwarted through the implementation of common sense processes, appropriately configured IT systems and a small number of security controls (something that increases your security posture). For instance – it may be hard to avoid being infected by ransomware – but simple to offset the risk to your business. Ensure that you keep regular backups of your key data, ensuring that at least one up-to-date backup is not connected to the environment – and is preferably off-site. Test the process from time to time and make sure that it continues to deliver. Hijacking of mail accounts can often be offset by deploying multifactor / two factor authentication for all users – it is free these days through most cloud email offerings. Well configured, and patched systems are also important when defending against cyber-attacks. Moving on from an attack and building up resilience for the organisation is a very important aspect for any small business to undertake. An important element to this process is to develop a security centric culture. Implementing a security awareness program within your organisation could be the difference between a successful attack or avoiding an attack that would have resulted in data loss. Train your staff to understand the potential threats to your business and industry as well as keeping data safe. Human error is the most common factor that leads to a successful attack. Tip - Use safe behaviour online and always stay informed and updated on the latest threats. In today's world, it’s not a case of ‘if’ your business will be hit, but more a case of ‘when’. By keeping your organisation prepared and allocating resources and funds in training your staff as well as implementing policies and procedures you will be on the right path with your cyber security. Warding off cyber threats does require an investment of time and budget, but the impact to your business will be far less than dealing with the effects of a breach. 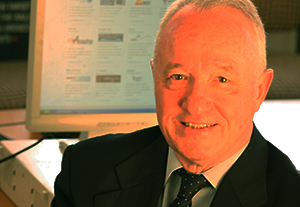 Murray Goldschmidt is the chief operating officer of Sense of Security. AN ONLINE hub to help busy people embrace health and wellness has been developed by business transformation and leadership expert Jill Annear. The Gold Coast-based website and portal – junomojo.com.au – is dedicated to providing a more holistic approach to wellbeing for both mind and body, while making it easier to manage within a busy lifestyle. “Through the companies I’ve worked with, I’ve always placed a focus on health and wellbeing, whether it’s been through the company itself, or simply the staff wellbeing programs we’ve implemented,” CEO and founder Jill Annear said. The new e-platform has been designed around six vital wellness ‘pillars’ according to Ms Annear, each supported with a dedicated collection of lifestyle products to help incorporate wellbeing into daily life. Ms Annear said the Junomojo pillars include Sleep Well (utilising bamboo bedding, eye masks and silk bedding), Eat Nourishingly (with help from recipe books, yoghurt and cheese makers and supplements), Hydrate Often (presenting blenders, filters, organic tea and coffee), Breathe Easy (utilising aromatherapy diffusers, air purifiers), Move Your Body (presenting exercise equipment, pilates and yoga products), and Find Your Mojo (with information on essential oils, affirmations and beauty products). Ms Annear said each pillar also has its own colour as “a reminder to take a broad approach to health”. Jill Annear and the team at Junomojo are also very clear on what they are not. Junomojo will host its official launch at the Business Chick’s 9-thrive Brisbane event, October 19-20, at Brisbane Convention and Exhibition Centre. of lovingly chosen products to start you on your wellness journey,” Ms Annear said. THE REGIONAL Economic Development (RED) Toolbox has evolved to help business and all levels of government consider Australia’s most challenging economic issue: the future of work and jobs. An offshoot of the RED Toolbox called the ‘ED Toolbox’ is being developed to muster intelligence and action around this crucial question – and it is designed to involve educators, colleges and schools in tandem with business leaders. “This is a problem the entire world is facing and the ED Toolbox is designed to help Australia come to grips with it and develop collaborative solutions and pathways with the help of our platform,” RED Toolbox CEO John Sheridan said. 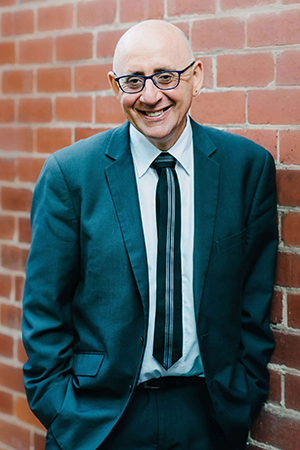 “We have been researching and speaking about digital disruption and what it will mean to Australia’s economic development for more than 20 years and have developed these national collaboration platforms – first the Manufacturing Toolbox and now The RED Toolbox and its derivative the ED Toolbox – to help Australians navigate these challenges. Mr Sheridan said business and government remained largely bewildered – and in many cases fearful – of the growth and impact of artificial intelligence (AI) systems, robotisation, the internet of things (IoT), virtual reality (VR), augmented reality (AR), blockchain, biometrics, mobile apps, remote sensing, three-dimensional (3D) printing, cyber-security, drones, nanotechnology, big data, cloud services, building information modelling (BIM), cryptocurrency, identity management, facial recognition and social media. The huge digital organisations that are utilising and developing these systems – often at a pace too rapid for regulators – including Amazon, eBay, Alibaba, Uber, Facebook, Google, Microsoft and Apple are also a huge area of economic concern. Governments around the world are struggling with their impacts on communities, local businesses, legislation, tax receipts and economies. Mr Sheridan said The RED Toolbox was progressing steadily as a collaboration platform, but through discussions developing among its Groups certain issues were clearly taking precedence. Various industry experts, business leaders and many educators were seeking a way of taking action in preparing young people to cope with a new employment paradigm, brought about by the digital revolution. “So we started work on what we started calling the ‘ED Toolbox for schools’ a resource for students, teachers and parents – and Australia’s education leadership,” Mr Sheridan said. “The ED Toolbox is designed to deliver a wide spectrum of insights, facts and figures, dashboards, charts, tables, graphs, case studies and videos illustrating the technology impacts across all 19 industry sectors and 500 business categories. The real value of taking this approach became obvious as The RED Toolbox concurrently began to embark on a series of presentations to help Australian government and business leaders understand the impacts of blockchain technology. The events have been developed in alliance with Consensys, headed up globally by Joseph Lubin. ConsenSys is a leader in utilising Ethereum – which has its own crypto-currency – to develop blockchain solutions for managing large enterprises and projects. The RED Toolbox has been conducting seminars in partnership with ConsenSys to assist government and business leaders to understand the value blockchain technologies can bring to them. Discussions generated from those seminars have continued through the RED Toolbox groups, blog posts and comments. The RED Toolbox-ConsenSys seminars have been presented in Australia by ConsenSys Global Solutions business strategy manager, Stephen Alexander, who has been a long-time RED Toolbox user and advocate. He advises governments around the world on the adoption of digital technologies for beneficial community results. “The ConsenSys consulting arm helps governments, enterprises and NGOs (non-government organisations) across the globe to build, test, and deploy public and private blockchain solutions that capture the advantages and efficiencies of Ethereum-based systems,” Mr Alexander said. “ConsenSys is a trusted blockchain advisor and implementation partner to Fortune 500 companies such P&G and Microsoft, as well as global government agencies such as the Smart Dubai Office, the Monetary Authority of Singapore and the European Union Blockchain Observatory and Forum. The RED Toolbox has already conducted seminars to explain blockchain and its applications to groups including the resources industry Growth Centres, several major councils, the Department of Agriculture and a major agricultural association. “We discussed blockchain and its value in supply chains for asset tracking, preventing counterfeiting and how and where smart contracts fit into the larger supply chain picture,” Mr Sheridan said. “We discussed blockchain and licensing, identity management, authentication, verification, biosecurity and smart contracts. “We discussed blockchain and IP protection. We discussed blockchain and the citizen. “We discussed blockchain and the needs of the citizen facing departments in state and local government. “We discussed examples of how blockchain is being used by governments around the world for land registry, licensing, ID, supply chains, commerce and so on. “We discussed control of destiny – and then we discussed immediate opportunities and next steps. “We are now exploring the value of blockchain solutions to agriculture, defence industries, creative industries, indigenous business, medical and health, construction, disability services and aged care,” he said.